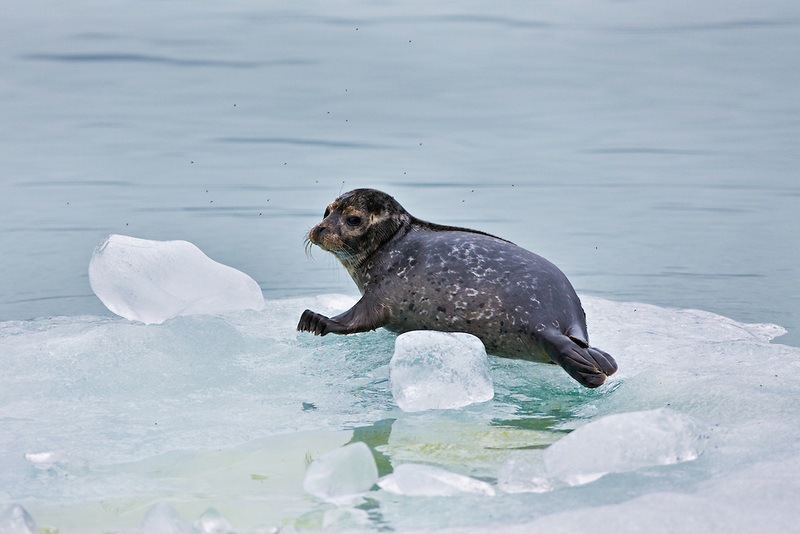 A harbor seal pup rests on an iceberg near Dawes Glacier Endicott Arm fjord of Tracy Arm - Fords Terror Wilderness. Southeast. Tongass National Forest. Inside Passage. Summer. Morning.